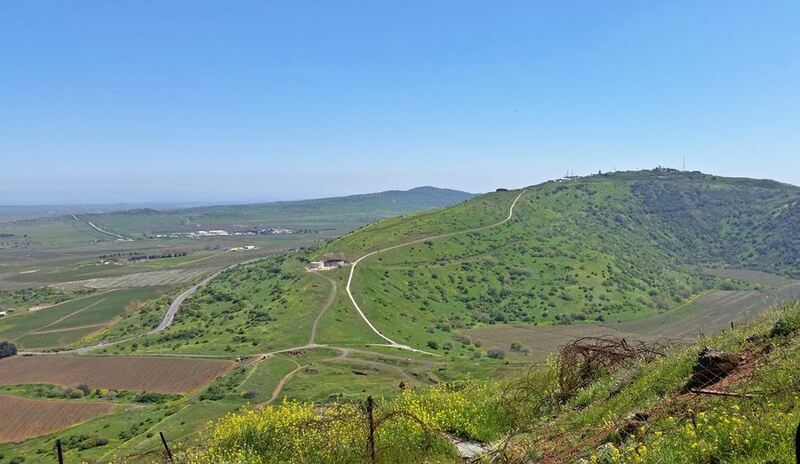 Driving by the scattered farming communities, and through the green, rolling hills of Golan feels like driving into the past, towards a more peaceful and simple time. The pastoral landscape and quiet solitude reveal nothing of the conflicted political history of the region, and rather indicate the opposite. 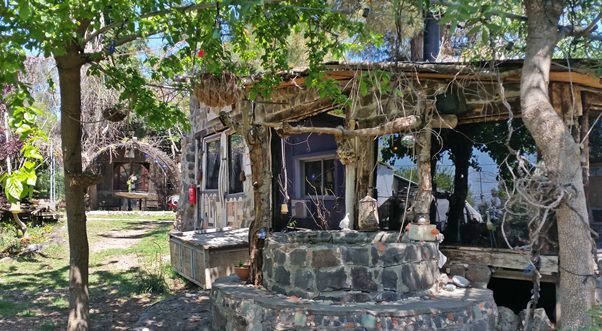 Golan Heights has become a calm, tranquil retreat from hectic modern demands, giving visitors a glimpse into the unpretentious lifestyle of centuries past. 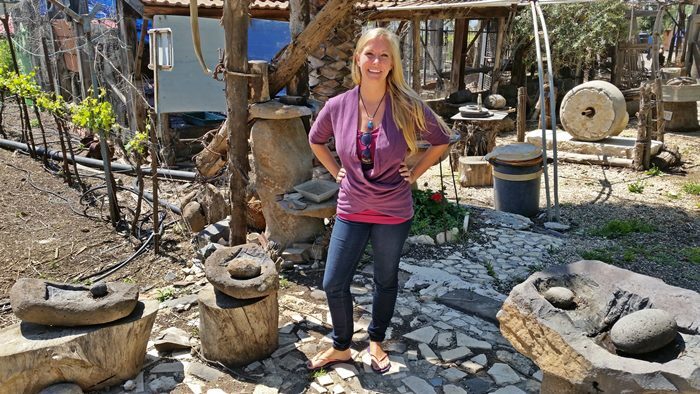 Communities of farmers and artisans dot the region, where neighbors know one another fondly. 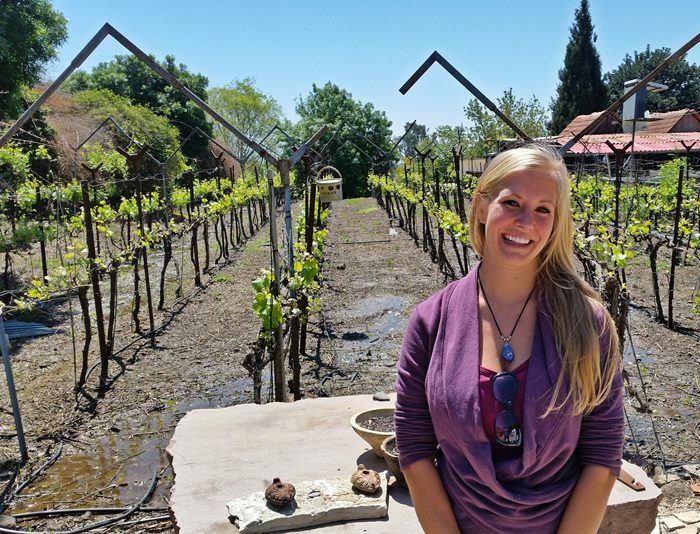 Slow food has found a foothold in the region, as well as organic and natural farming. Small ranches and vineyards take precedent, and the too-common industrialized farm factories have no place here. Farmers, growers, and artisans of Golan take pride in their professions. 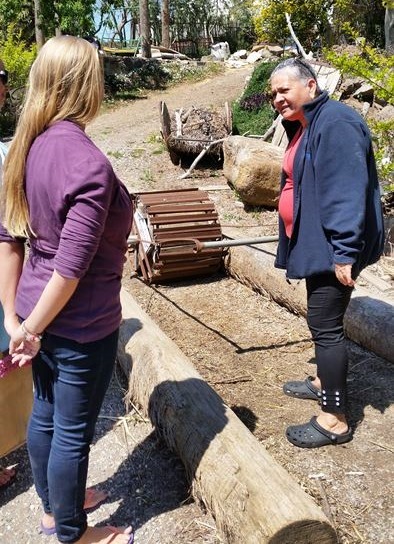 Their connection, love, and respect for the land that they live on and work is evident in their attitudes and in their delicious products. 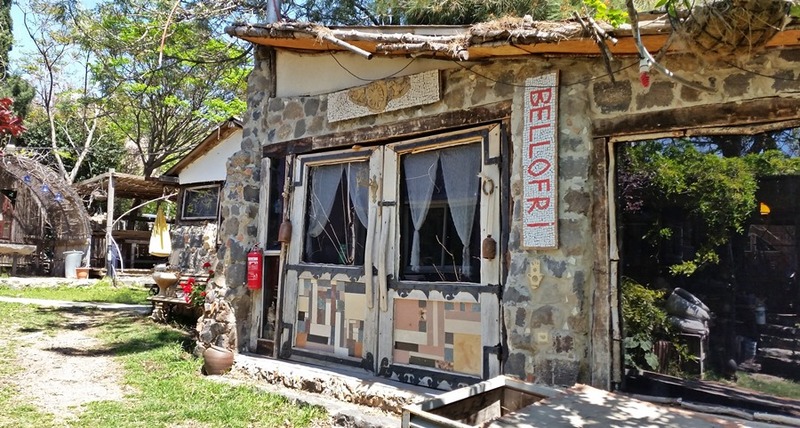 Bellofri (Ein Nashut Winery) is a prime example of the wonders of the Golan and the special friendliness of its farmers. Part of the farming community of Kidmat Zvi, the farmstead is owned by the Kabalo family, and managed by a husband and wife team. 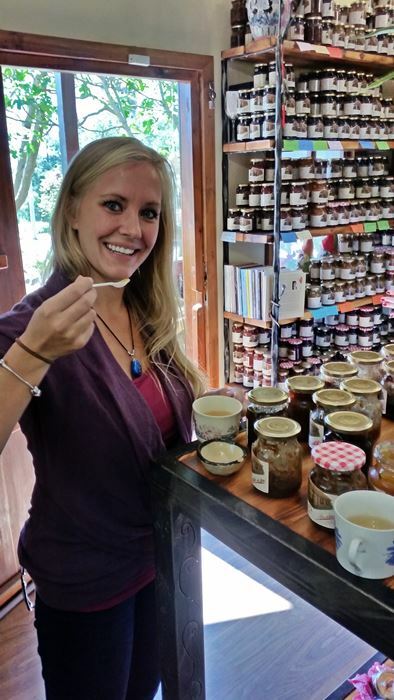 Tami provides extensive tours (in English!) 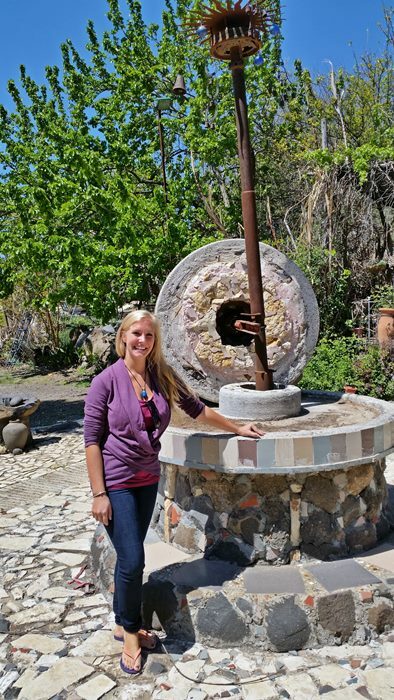 and explanations of the farm, including detailed histories on the progression of the processes and tools used to make the famous Mediterranean staples of bread, olive oil, and wine. The Kabalo’s farm still processes raw grapes, olives, and wheat in traditional and sustainable ways. The Bellofri tour began with an explanation of the tools led by Tami. Olive oil was the most surprising process – so much work for SUCH little oil! 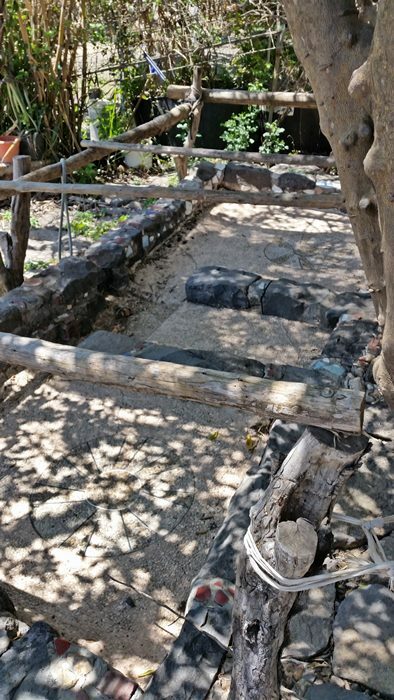 The most ancient tools for creating olive oil – rocks and slabs with a place for the oil to gather! Pound until you get oil. I’ve been looking at my olive oil differently ever since. 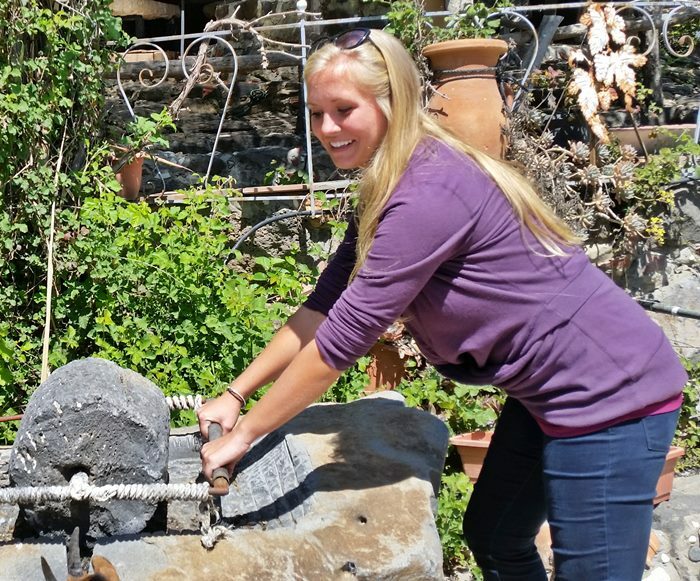 And now, onto a more modern method: donkey (or other animal) powered olive pressing! It was the donkey’s day off, so I’m filling in here. SO HARD! Next up was my favorite of all products – WINE! If you visit during wine season you can even make your own wine! One of the most interesting details of Bellofrio was the extreme dedication to recycling. 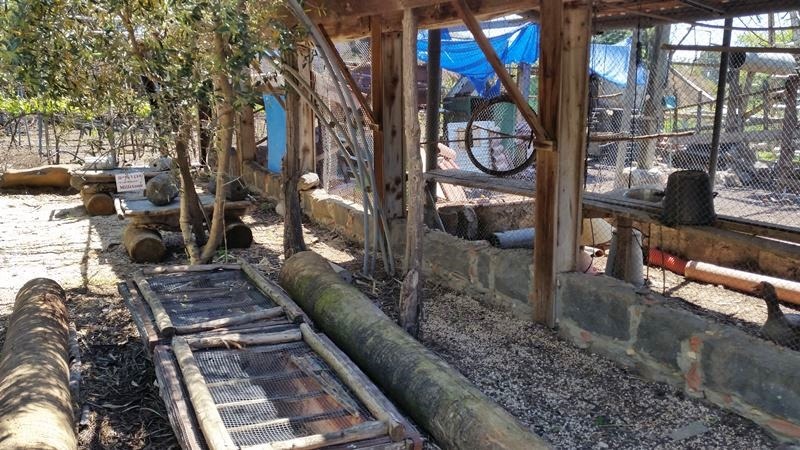 Every structure on the farm is built from recycled materials and scraps. In addition to being farmers, the Kabalos are also artists, and they have created some beautiful buildings. 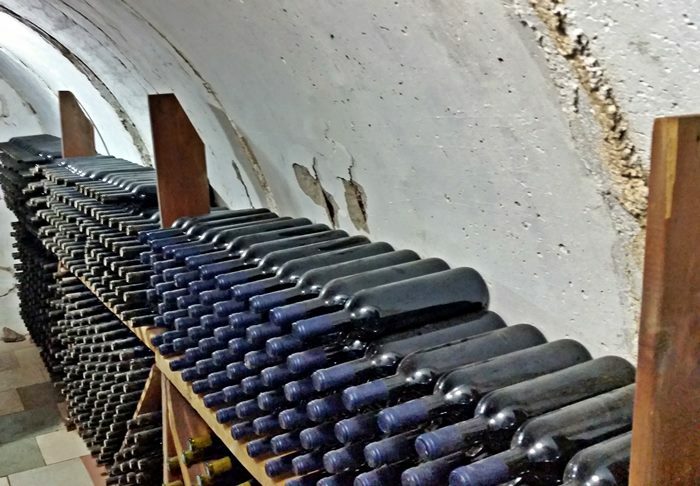 The above pictured wine cellar is actually a recycled Syrian bunker! After your tour, there is an optional wine and cheese tasting in the restaurant. The products are all natural and made on the farm. I highly recommend taking advantage of this – some of the tastiest wine and cheese I’ve had (and this was right after Italy!). 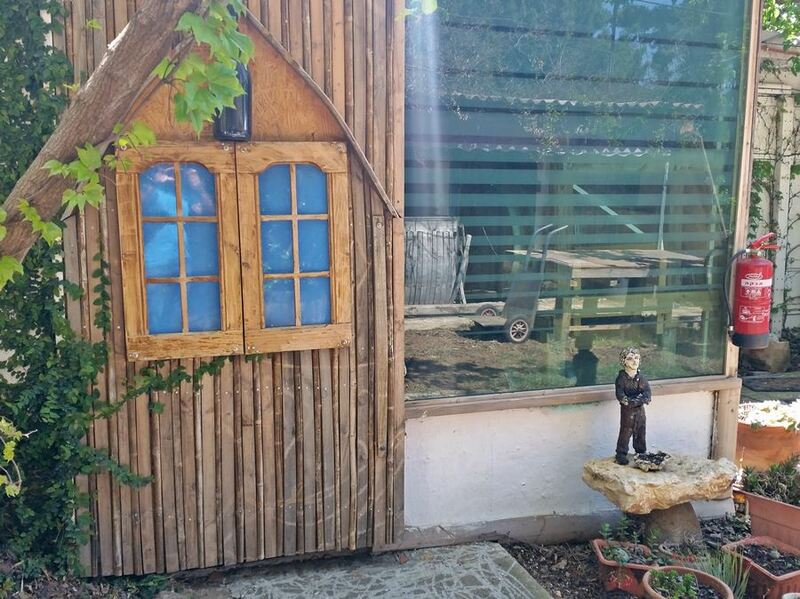 After Bellofri, a short drive away (also in Kidmat Zvi community) is another artisan food producer. 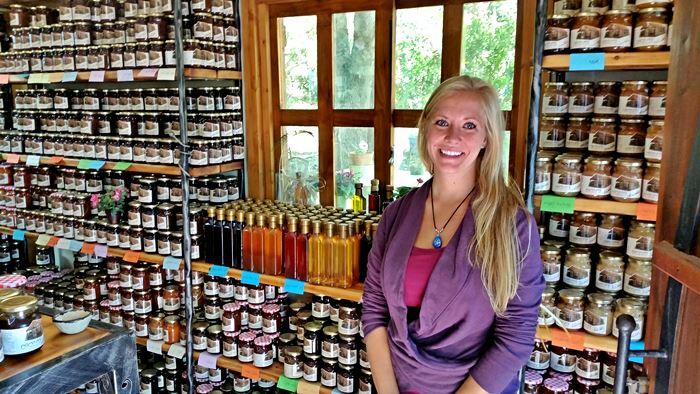 Sara, of Sara’s House of Jams, offers hundreds of handmade, all-natural jams of every taste imaginable. 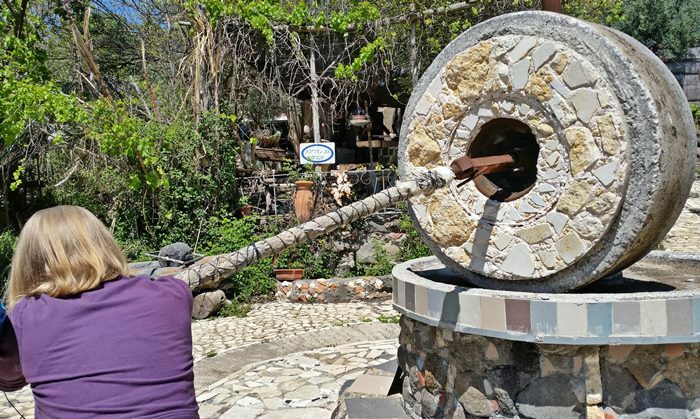 Not to be missed, the Artisan Village of Golan is also a worthy stopover, especially if looking for home decor or handmade jewelry. Many artists of varying fields (sculpture, painting, soapmaking) gather in little houses set along the village to offer their wares. Stopping to check out the Syrian border is also quite interesting, with a free audio tours available in English. 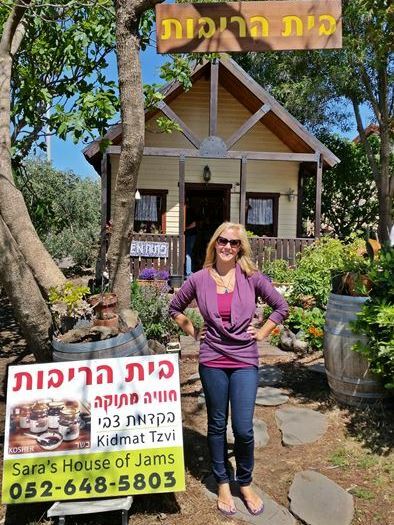 Very interesting, I never would have thought of Israel as a wine destination. Everything looks quirky and fun! I know! Me too! But it was soooo good! I enjoyed reading your article. 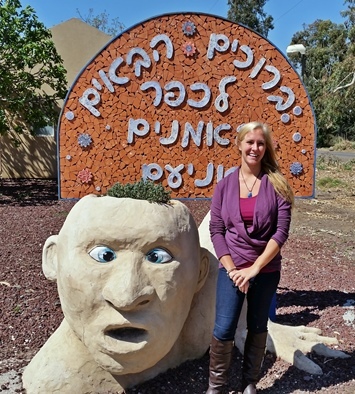 I am interested in moving to the golan heights and was impressed with the natural living that was present. I work in medicine and am interested in opening up a clinic that is based in natural living and teaches people how to live off of the land. I am interested in hearing about any thoughts you may have about this and your overall impression of life in the region. Thanks for posting up this article. Hi Dan! Wow that would be awesome! I think a natural living clinic seems like it’d a great fit for the area. The area seemed very family-oriented and community-minded, and as you said – such an emphasis on natural living. I’m wondering, how did you get in the golan heights? By car? It sounds so wonderful and since i’m visiting Isreal in a few weeks I would like to follow your blog!